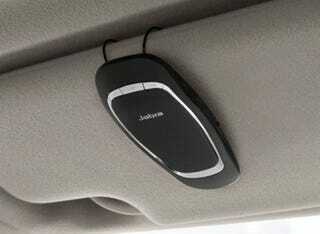 Want to win a Jabra Cruiser hands-free speakerphone? We'll randomly select a winner from the commenters on the "Jabra Cruiser" thread on our official Jalopnik Facebook fan page. Details below. All you have to do is head over and join our official Facebook page and drop a comment on the Jag swag bag thread there (not here!). Your comment serves as an entry into a random drawing for a Jabra Cruiser hands-free speakerphone. All you have to do is join and comment.